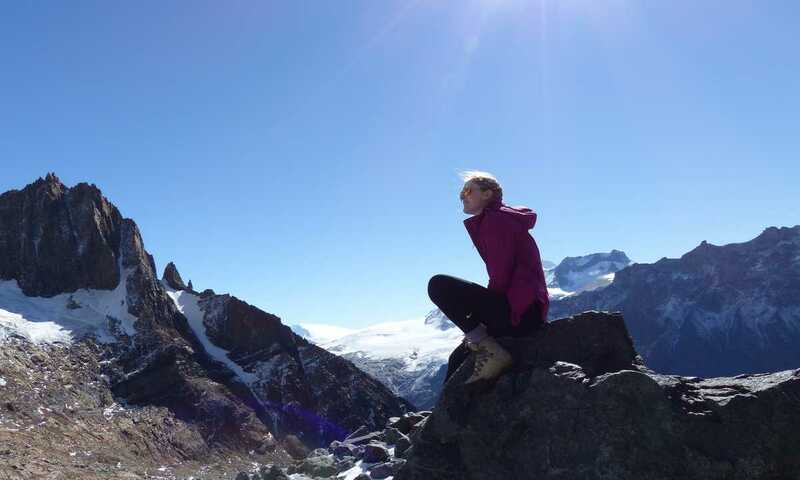 Chloe fell in love with Patagonia somewhat by accident whilst studying for a masters in Psychology. Her first visit to Patagonia in 2016 had her instantly hooked and she has since has spent several months exploring its many diverse regions. As a wildlife fanatic, close encounters with pumas, whales, orcas, elephant seals and penguins are among her favourite memories of Patagonia. 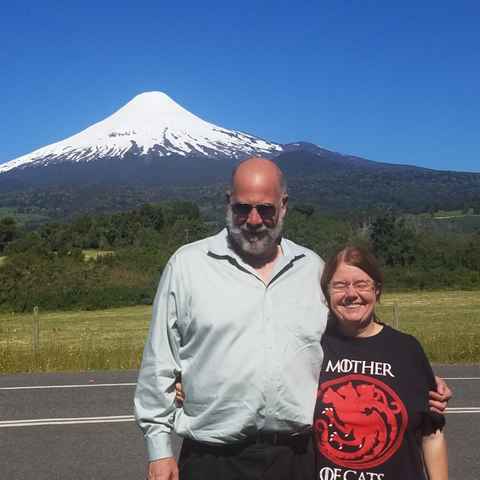 She also has a secret volcano addiction, endeavouring to squeeze a summit into every visit. I was born into a family of travel addicts, which set me up with a taste for travel and adventure from a young age. After graduating university with a degree in Psychology, I set off on my first solo travelling adventure in South East Asia which only fueled my desire to explore the world. It was not until a few years later, however, that I discovered Swoop (and my love for Patagonia) quite out of the blue, whilst completing my masters in psychology back in the UK. Patagonia's diverse landscapes of crashing glaciers, imposing peaks, glistening lakes, smoking volcanoes and oceans teeming with wildlife had me hooked from the word go, and it did not take much consideration for me to accept a position at Swoop to help other people experience it's magic for themselves. I spend my free time with friends and family escaping to the ocean, mountains and wilderness near and far all the while with an eye out for wildlife! I run to and from work at Swoop HQ each day and enjoy taking part in the occasional race. My favourite place to be is in, on or around the ocean, so weekends and holidays are usually centred around swimming, snorkelling, scuba diving and water skiing. My most recent trip was a month-long marine conservation project in Indonesia, monitoring the health of coral reefs and populations of manta rays. I paid my first visit in March 2016. I knew it would be incredible, but can honestly say that it utterly surpassed all of my expectations. 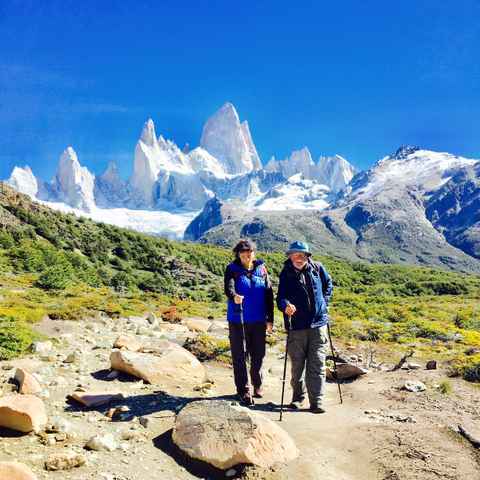 I spent time hiking in Patagonia's iconic National Parks, Torres del Paine and Los Glaciares National, ice hiked on Perito Moreno Glacier, cruised among the wildlife and glaciers of the fjords, set foot on Cape Horn, and kayaked in the Magellan Straits. As a wildlife lover, I was super excited to spot five pumas in one day, get up close with 34 humpback whales in two days and see numerous other weird and wonderful creatures along the way; hairy armadillos, hog-nosed skunks, penguins, and impressive birds of prey being among the highlights. I have since spent several months exploring other regions of Patagonia, including the Chilean and Argentinian Lake Districts and the Valdes Peninsula, as well as venturing further north to Iguazu and the Atacama desert. In each region I've found incredible wildlife to hang out with, new volcanoes to climb up, jaw-dropping landscapes to marvel at and new experiences to challenge me physically and mentally. I work in Swoop's Bristol HQ, and my main focus is in helping people to plan and arrange their perfect tailormade adventure in Patagonia. 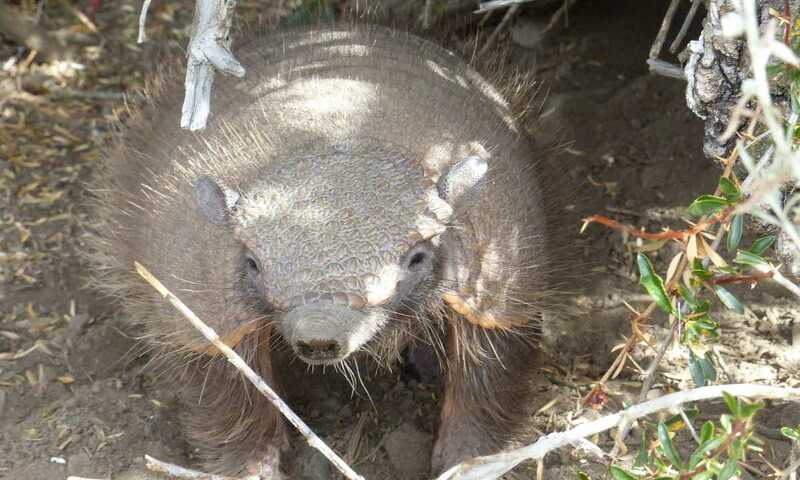 I am also the Patagonia wildlife specialist here at Swoop, so am always eager to help people incorporate a bit of wildlife spotting into their trip, or craft fully wildlife-focussed experiences with penguins, whales, pumas, condors, elephant seals and more for those who share my wildlife obsession. Patagonia's diversity is, in my opinion, what makes it so unique and special. Every visit brings something new and unforgettable whilst each region offers different landscapes, activities, culture, history, and delights for the senses. It really is another world, a place where you can be so alone with nature that you stand mesmerised by the rugged beauty of mysterious peaks, intimidating glaciers and unpredictable elements, for hours on end. The people are friendly and welcoming, the scenery is breathtaking, the wildlife is captivating, the food and drink are to die for; Patagonia really has something for everyone, no matter your age, experience or interests. When things go wrong is when you really know the measure of a business. We had a breakdown on the road, the fault of the rental car company on a weekend. Chloe and Swoop's local agents were there for us, helping get our car repaired and us back on our way. And when the trip was over, they fought for us with the rental car agency to hold them responsible for their failure. Two thumbs up! Thank you for everything! Everyone at Swoop did a great job and made our trip easy and extra special from the very beginning to the end! The service prior to the trip was excellent, always happy to answer questions and adjust our trip as required. Thank you for organising an amazing itinerary for us. This really was the perfect mix of regions to visit. Exactly the level of support we were looking for. We didn't want to do everything ourselves, but weren't looking for a luxury (costly!) experience. I would recommend Swoop to others! Both Chloe and Angharad were responsive and ever ready to answer questions, and the itinerary was comprehensive and tailored to our requests, ie for a botanical and birding trip. I don’t think we could have managed all the specific logistics ourselves. There were so many details that we are grateful for swoops coordination. The itinerary and recommendations were utterly perfect for us! The service was great, we were so glad we had swoop to piece together the different stages of our trip. Chloe did a great job of helping me understand the options, and did a great job of facilitating our decision-making, with a great mix of prodding as needed while still being patient. The itinerary was great. Swoop was very helpful in helping us build out our plans and our trip, especially because we didn’t know much about the location and had never been there before. Patagonia can be a lot of information for the first-time traveler, and Swoop really helped to zone in on the specific things that we wanted to do and made it less overwhelming to figure out what we were going to do, and how. Hilary and Chole were great- responsive, thorough and willing to help. I was thrilled to have you guys on board and how fast you turned it around; 1 to 1.5 months is not a long time to work magic, and you definitely found us some Patagonian magic! We were very pleased with the service from Swoop from start to finish. Chloe's determination to get us booked where we wanted to be on short notice, and the regular reminders and information on what we needed to be thinking about were very reassuring. I am very pleased with every choice Swoop did for me. The itinerary was perfect, and made the travel super smooth. Every hotel was exactly my kind of place. The swoop team really took care of us. It was the first time we used a travel company and our trip went so smoothly. We really enjoyed how we didn't have to stress about logistics and that really helps us to enjoy our trip to the maximum! Chloe has been extremely patient, friendly, and helpful in helping me organize this trip, and it has been an absolute pleasure working with her. If she is any indication of what to expect from this trip and your company, I can only anticipate the best. Chloe, I do not know that we would have gone to South America without your persevering spirit. Thank you for walking through that with me and for being so gracious. You’ve done a really great job, Chloe. I’m not sure how many times you have to rework someone’s itinerary but mine was fairly complicated and you were superb. Thanks. Chloe was awesome, from the day I contacted Swoop to the day she handed me over to the very capable hands of Chile Nativo. Chloe answered all my questions, advised me on the phone, was never pushy and gave me immediate confidence in your organisation. I had already started making plans but Chloe helped to bring it all together. I am very independent with my travel reservation but I appreciate having someone who has been to a destination and can give first hand advice from their experiences. I have already recommended your company to a friend. Chloe was wonderful, answered all my questions and was prompt with replying! I would recommend Swoop to anybody! Chloe was extremely helpful and responsive. She worked closely with us to design an itinerary that met our needs, and was particularly helpful in finding ways to accommodate our dietary restrictions. Chloe was attentive and I would highly recommend her to others. Swoop did everything right. We had a marvellous trip, Patagonia was everything I hoped it would be. Swoop's portion of the preparation was flawless. Chloe’s instructions were detailed and great. I took some time to reflect on my experiences with the wildlife of Patagonia and writing this really brought it all back to life for me. I hope you enjoy reading these accounts of life-changing moments and find the inspiration you need to start planning a nature adventure of your own! There are still many Patagonia destinations and experiences left on my list, but I'd love to explore the remote hiking trails of Aysen, soak up the wildlife and history of Chiloe Island, raft on the Futaleufu, scuba dive with humpback whales in the Chilean Fjords and spot all five of Patagonia's penguin species.